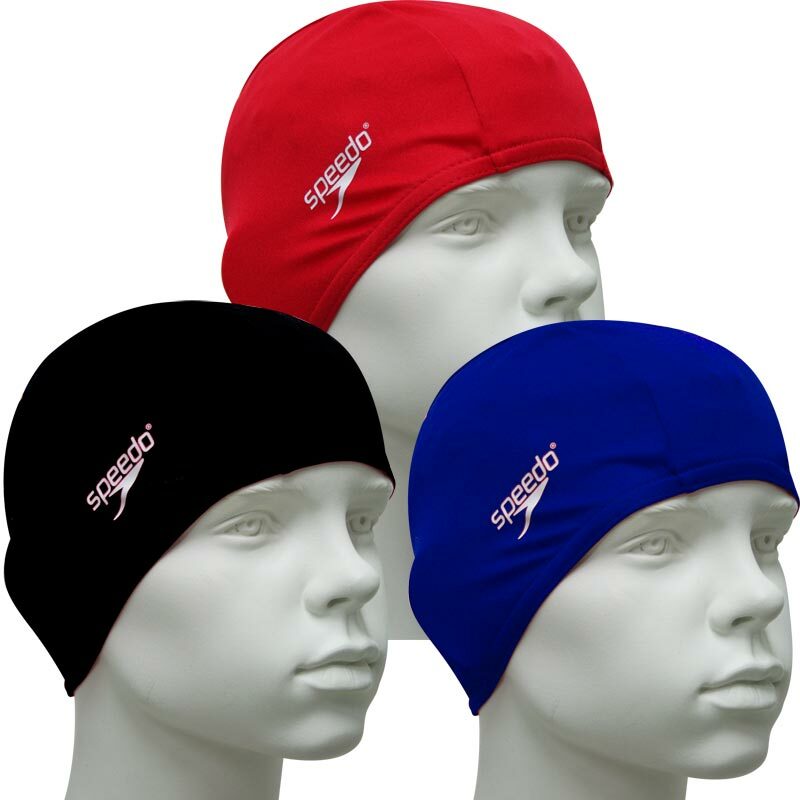 The Speedo ® Polyester Junior Swimming Cap are an excellent alternative to the more traditional latex or silicone swim cap. The offer excellent comfort and fit in quick drying polyester fabric. Quick drying polyester fabric swim cap. Well made but too small for my 8 year old grandaughter.Therefore product should be labelled child as junior implies something larger. a great cap that does not snag and pull when you put it on or take it off. ideal for swimming lessons where caps are obligatory. Excellent value for money & with free delivery. Goes on easy and stays put during my son's swimming lesson, he actually doesn't mind wearing it which is a big bonus! !